This week’s post is a big one for us because it contains our first ever video! It’s one thing to explain how something works, but sometimes it’s much more effective to show you, and that’s what we wanted to do with the On-Q Digital Audio System from Legrand. We briefly talked about the system in our Home Tour post, but today we’re diving in and showing you exactly how and why you need it in your home. What is the On-Q Digital Audio System? 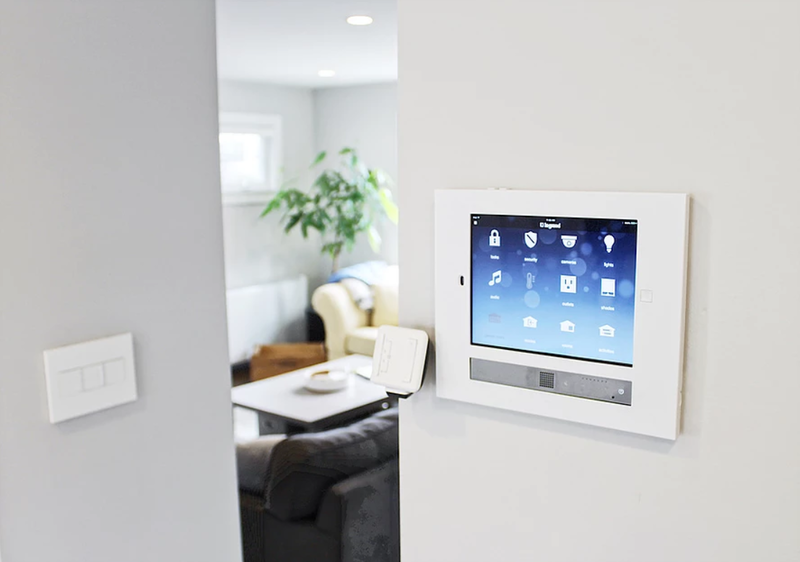 It’s a system that allows you to manage and control the audio throughout your entire home from an easy to use app, which is available on the system’s main screen as well as your smartphone and tablet. You can install control panels throughout your home to adjust volume and turn the audio on and off. The system can be paired with seamless in-ceiling speakers, so you don’t have to deal with any speakers cluttering up your home. 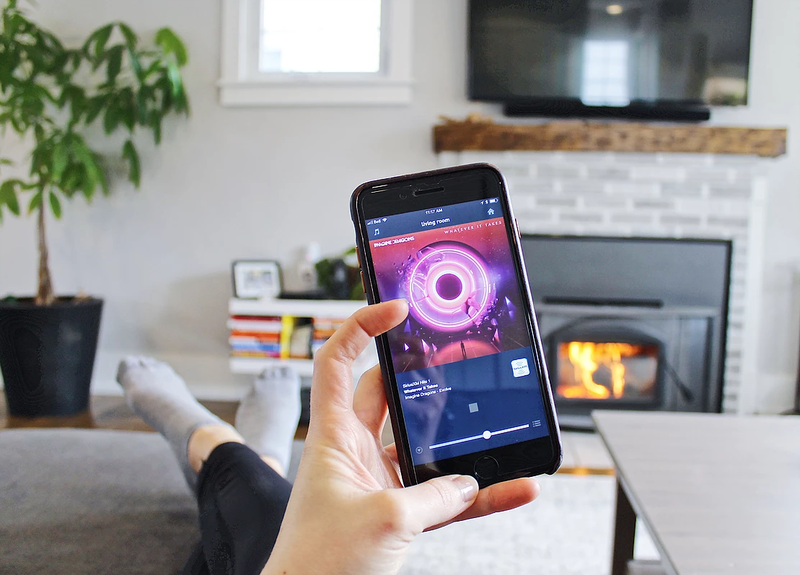 As for the audio itself, you’re able to stream music from hundreds of channels and services including Pandora, iTunes, Spotify, Sirius XM, and so much more. You can save your Top 10 favourites for easy access, set up pre-sets and more. The audio quality is crystal clear, and it really adds a level of cool and ambiance to your home that you just don’t get from playing music off the radio, your smart phone, or a Bluetooth speaker. We love that this system delivers not only super high-quality output, but that it’s so easy and fun to use. You can find more information about the On-Q Digital Audio System here.